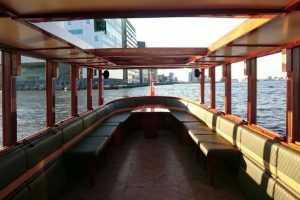 A saloon boat has a classical appearance, the closable space with big windows offers an amazing view, privacy and protection against unexpected bad weather. 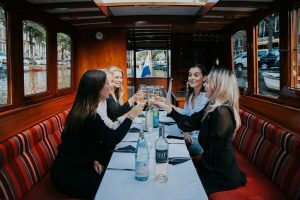 This makes the saloon boat a perfect boat for family dinners, dinner cruises and business meetings. 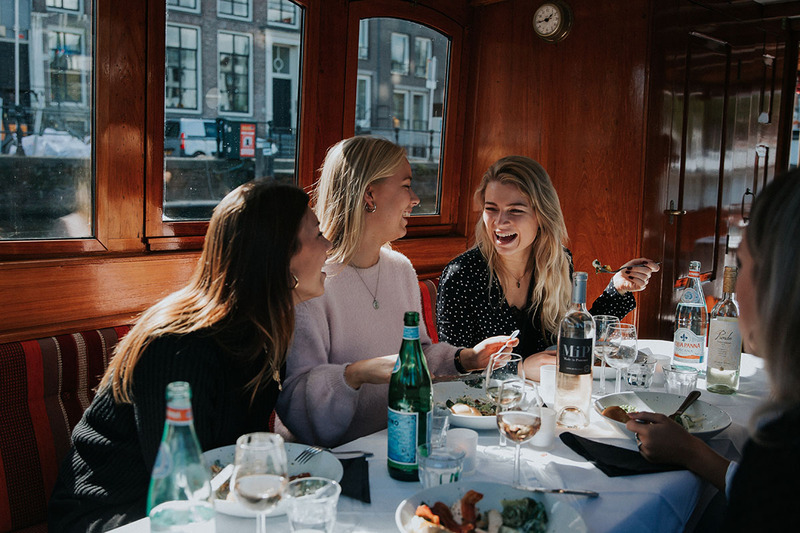 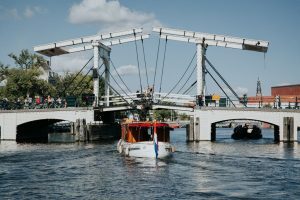 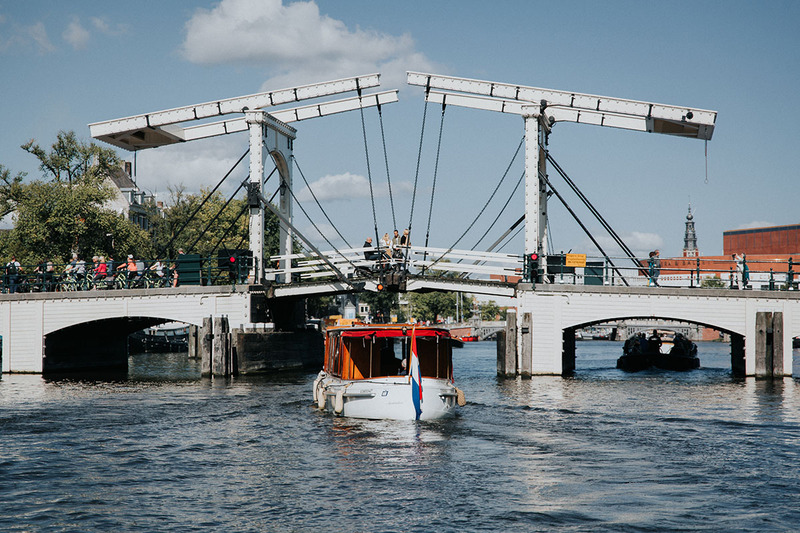 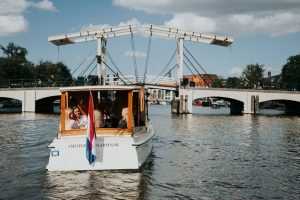 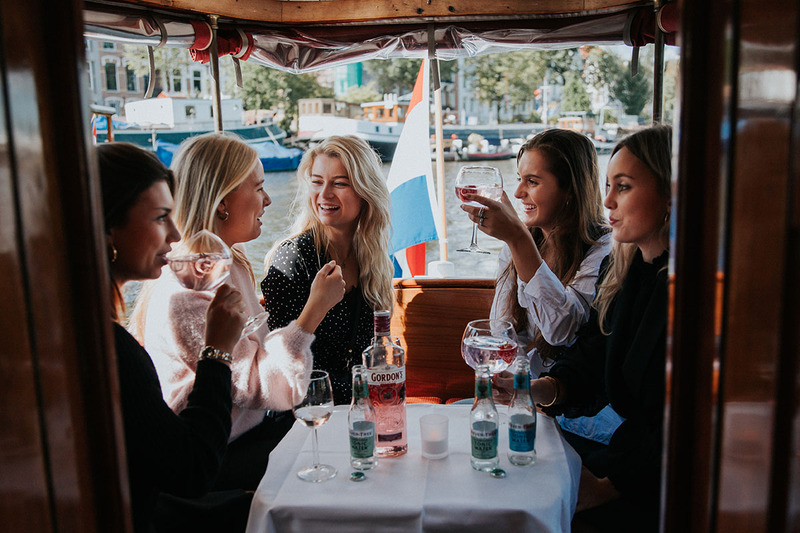 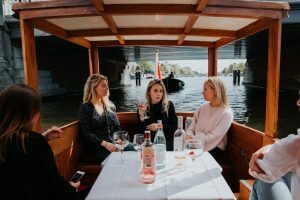 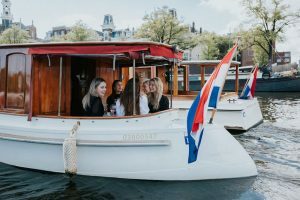 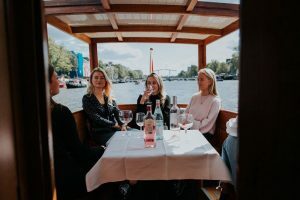 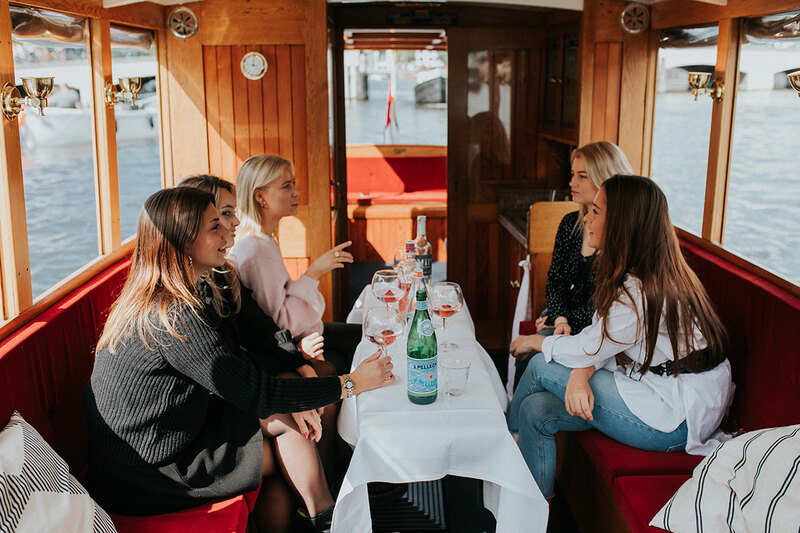 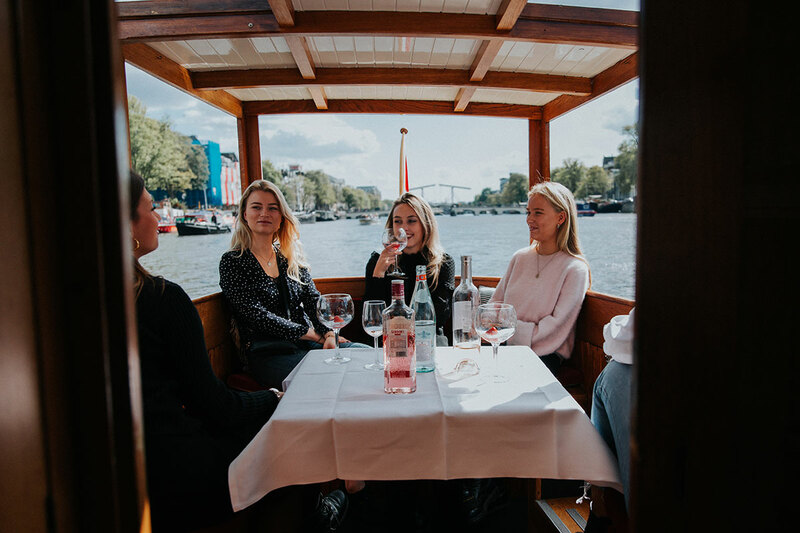 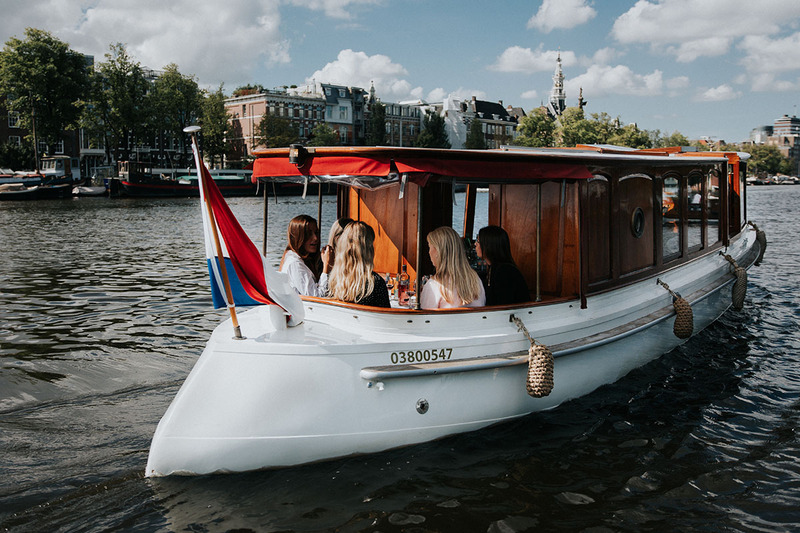 Read more on this page about our saloon boat Amsterdam offer. 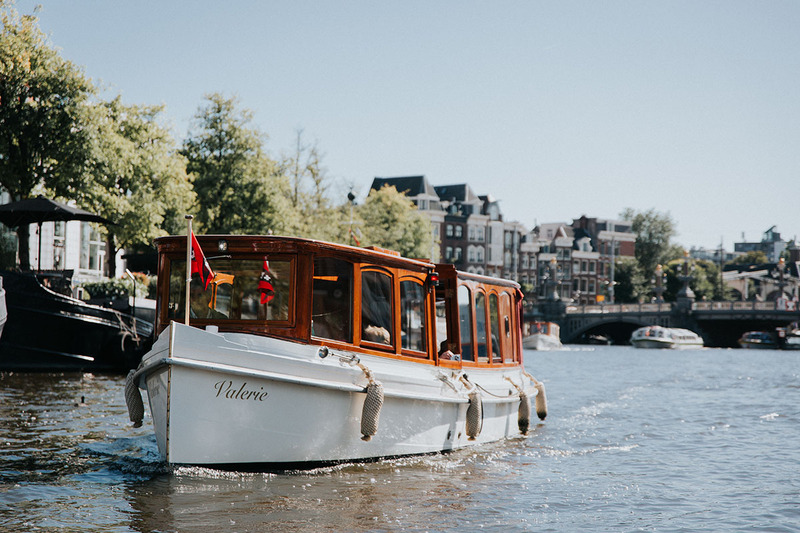 The Valerie is truly a royal saloon boat, it was built in 1930 at a famous shipyard in Amsterdam. 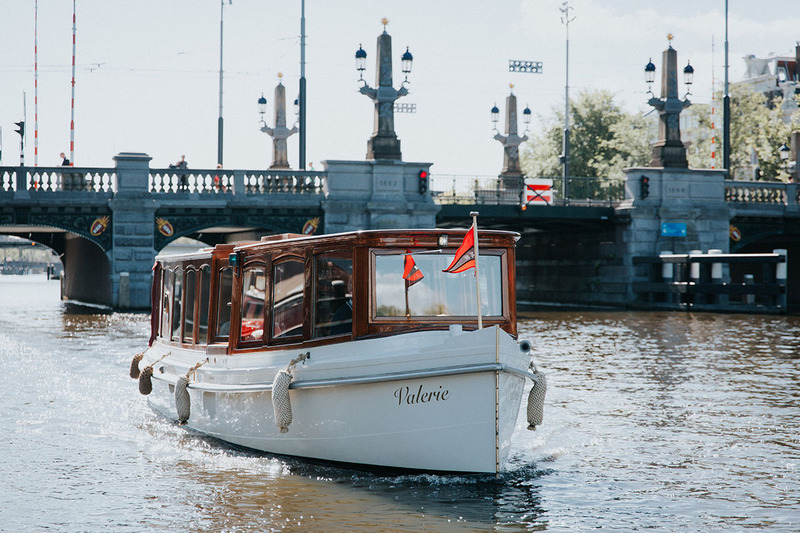 Queen Wilhelmina has been seen regularly with the Valerie sailing across the Amstel. 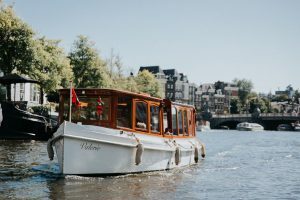 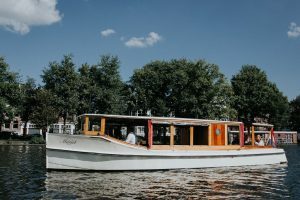 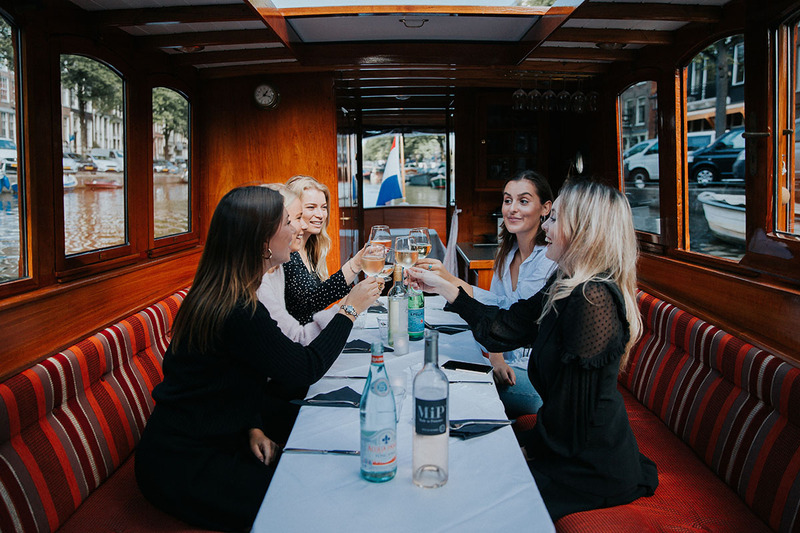 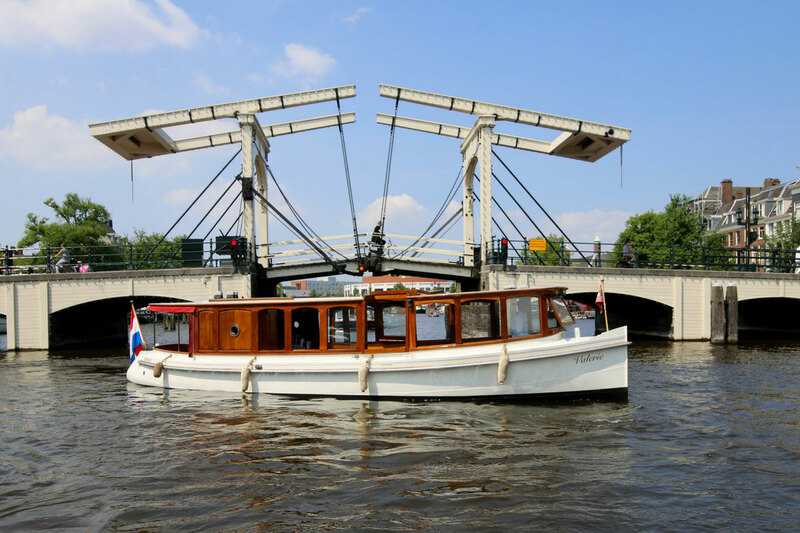 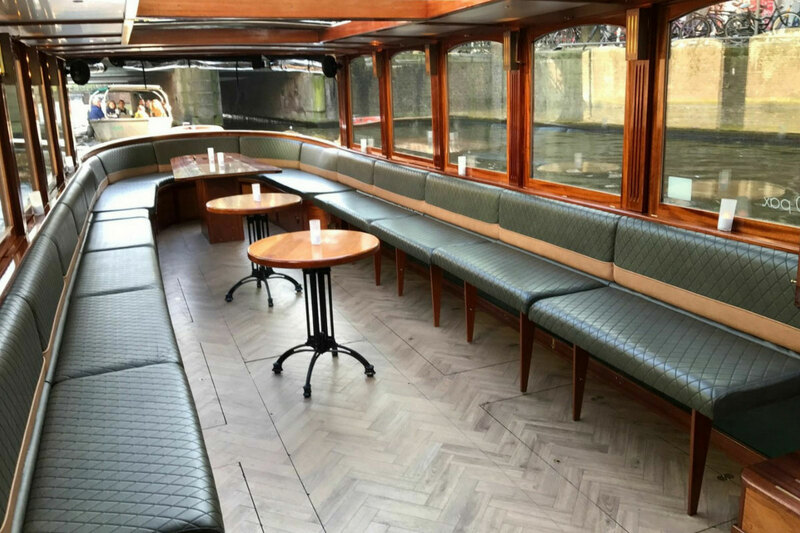 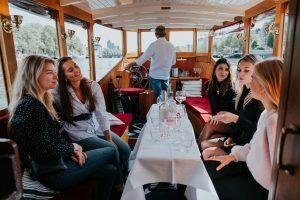 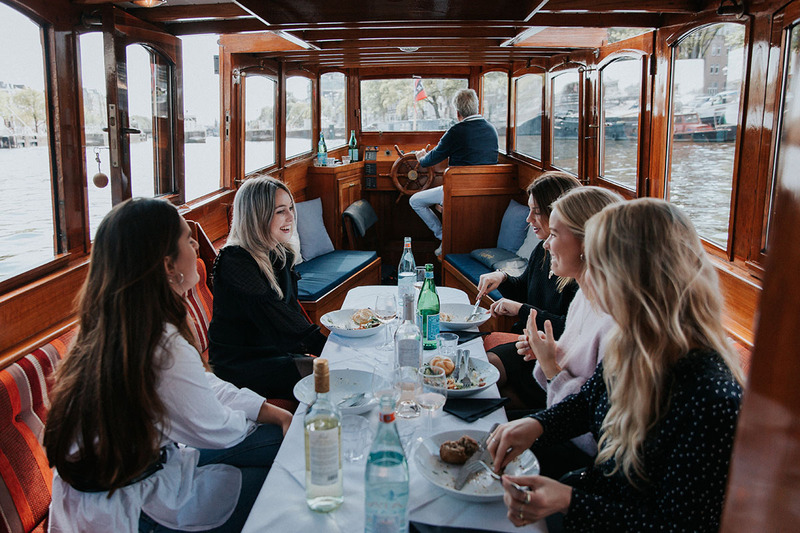 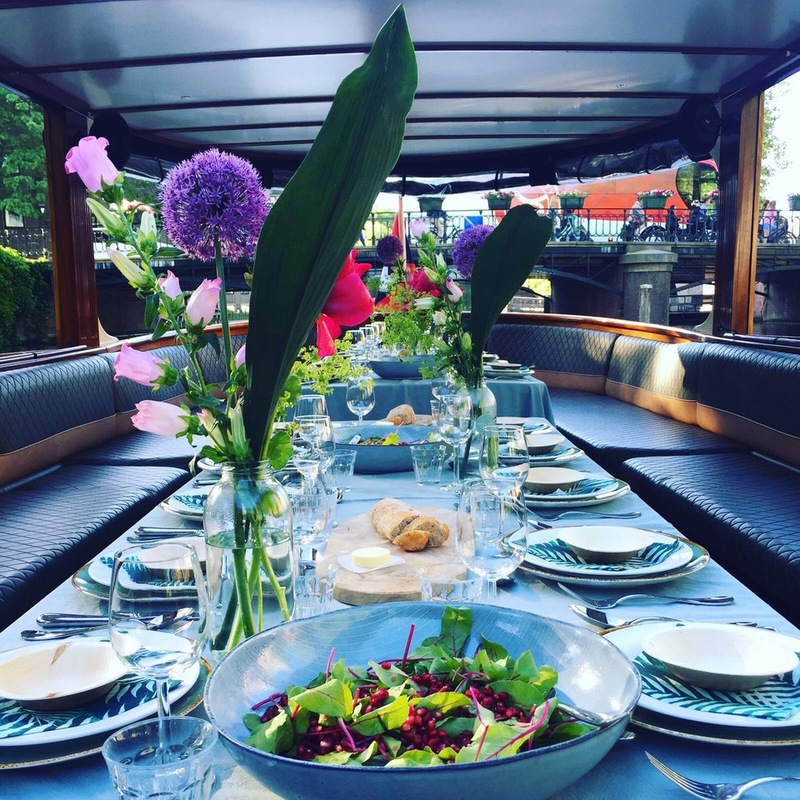 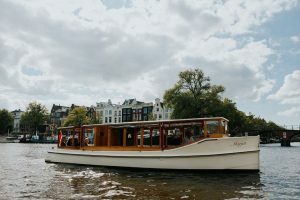 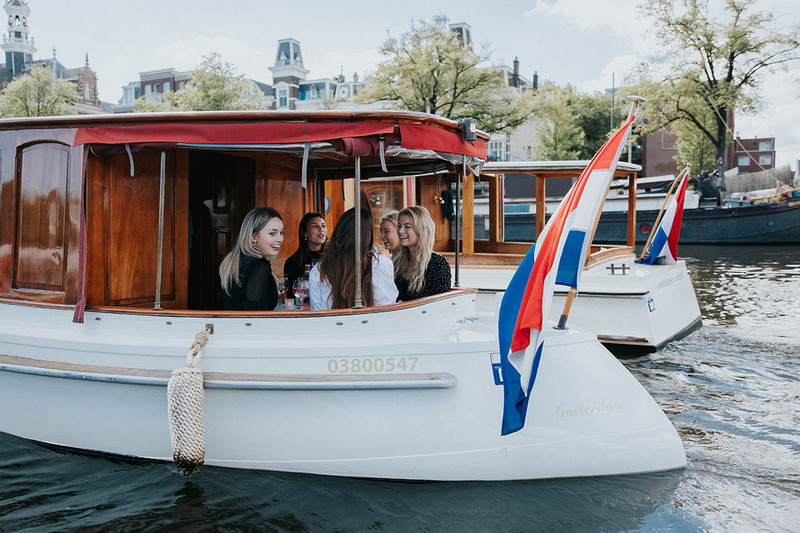 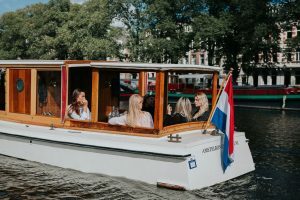 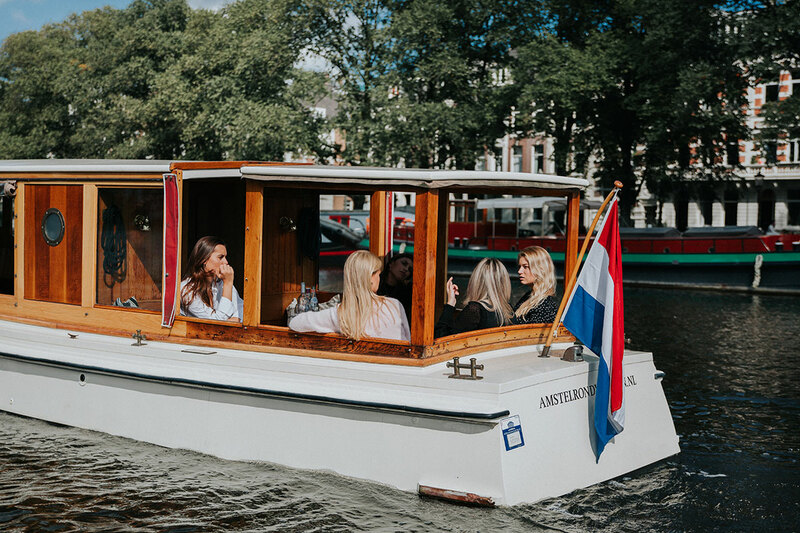 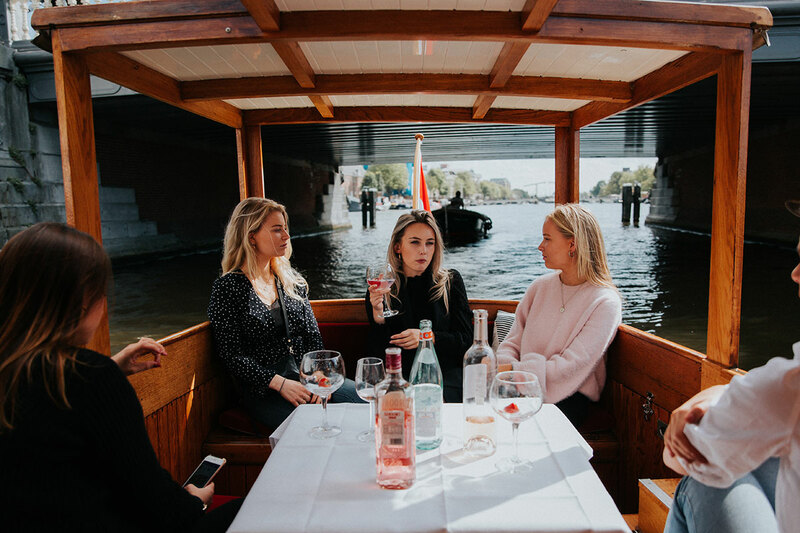 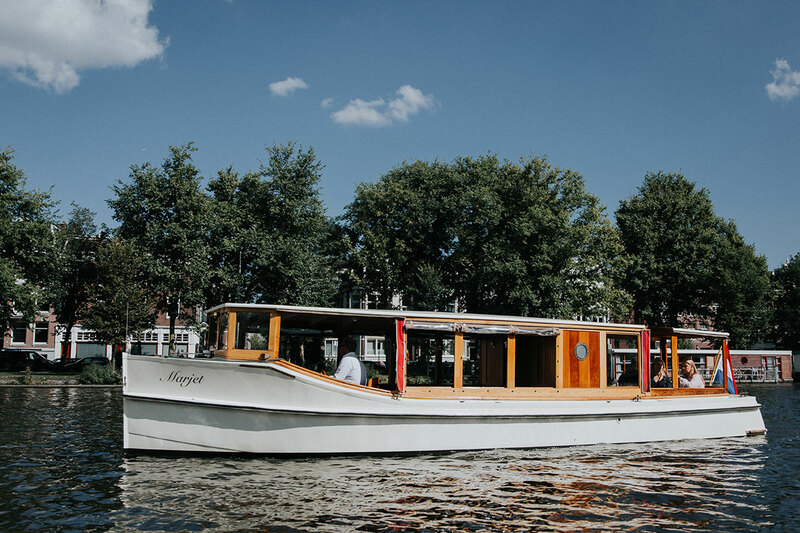 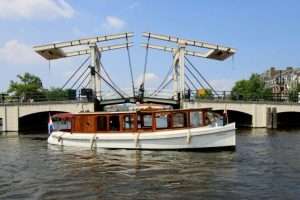 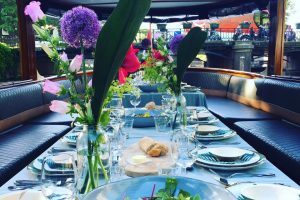 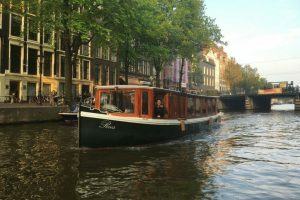 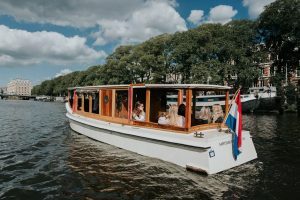 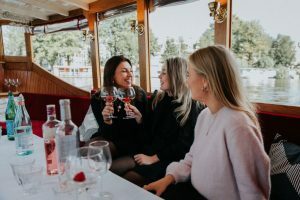 This beautiful saloon boat is suitable for groups up to 19 people who want to enjoy luxury in Amsterdam. 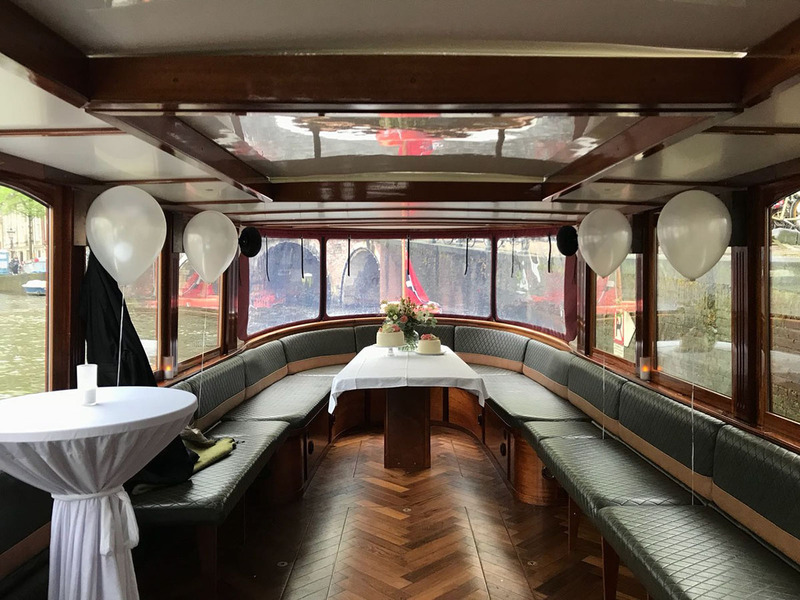 Thanks to the large skylight and the large windows you can enjoy natural light and perfect views all around the saloon boat, without being affected by the weather. In the summer, the windows can be removed and saloon boat Valerie is completely open! 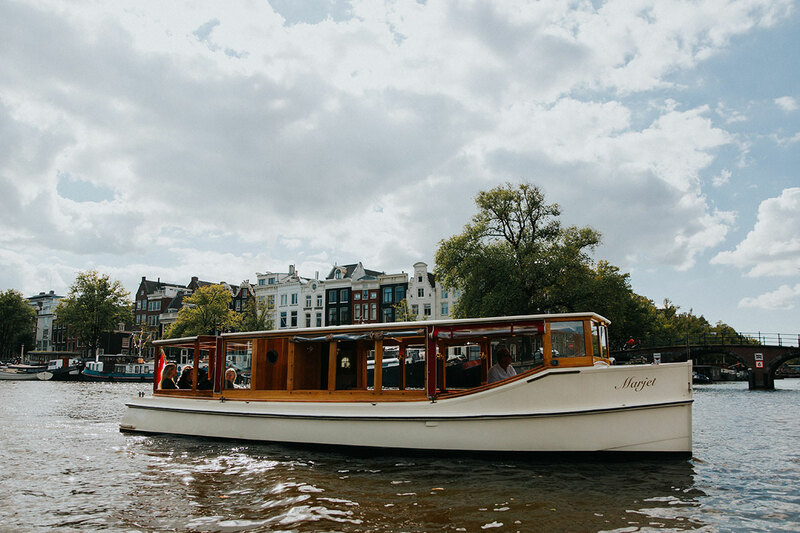 Saloon boat Marjet was built in 1929 by the firm Haak. The interior is Art Deco / Amsterdam school style, where much is made of oak. 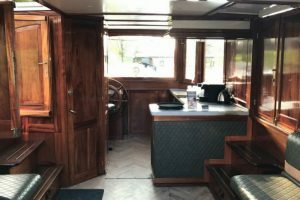 Due to the warm appearance of the old woodwork, together with the granite countertops and the stained glass, there is a serene nostalgic atmosphere in Marjet’s saloon. 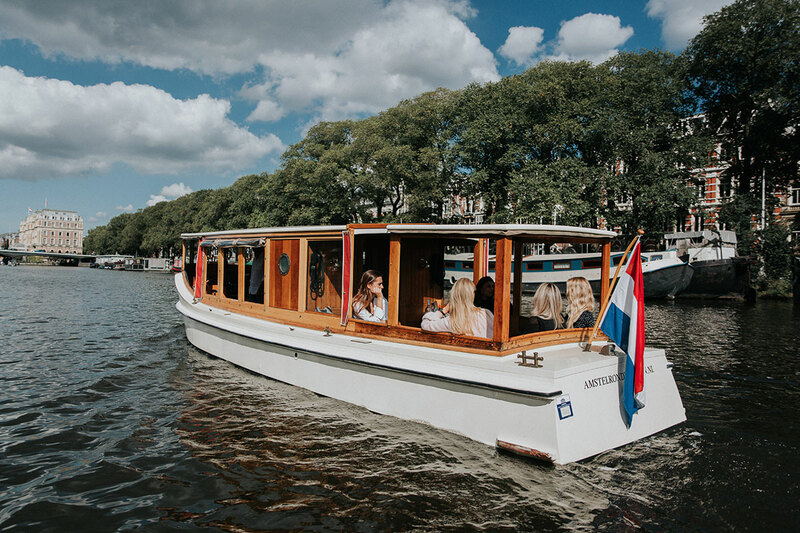 In the summer, the windows can be removed and saloon boat Marjet is completely open! 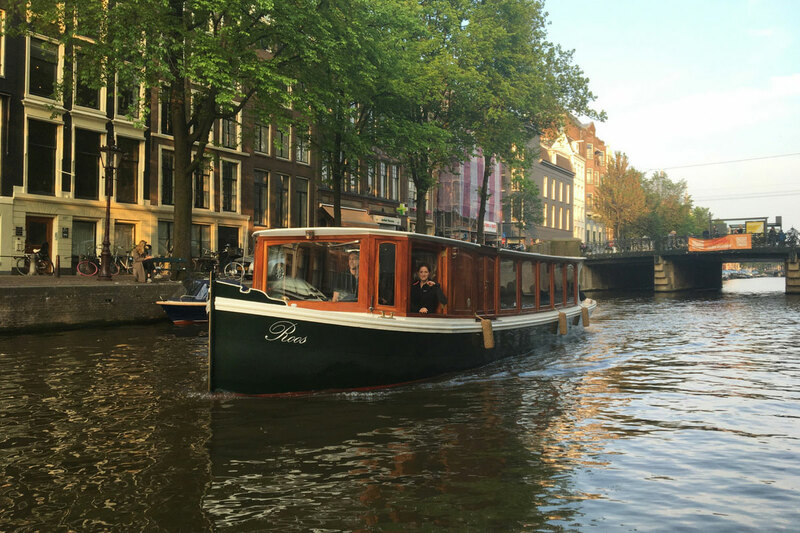 Big, bigger, biggest, that goes for saloon boat Roos. 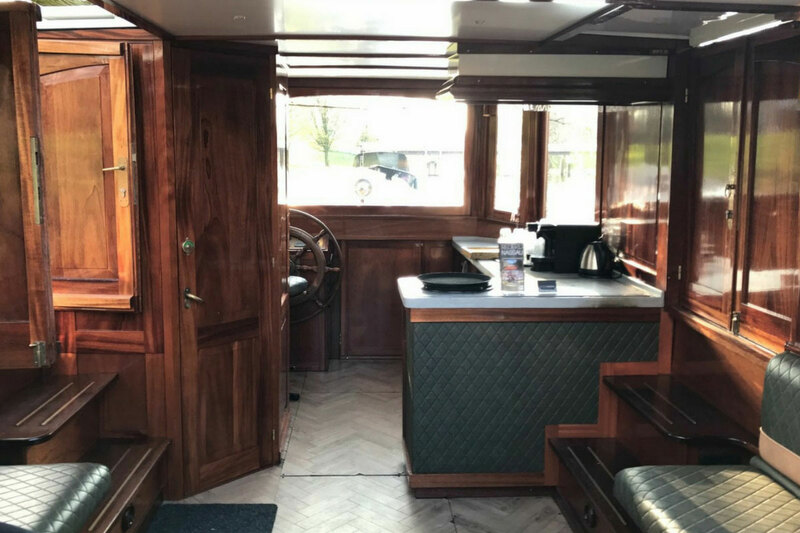 This luxury saloon boat from 1904 can sail both closed and almost completely open. The boat is suitable for larger groups who love luxury. 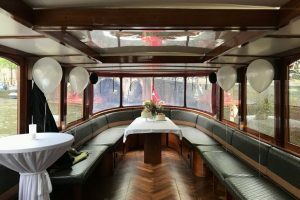 This makes the saloon boat ideal for cruises with older and younger guests, business meetings, weddings and parties. 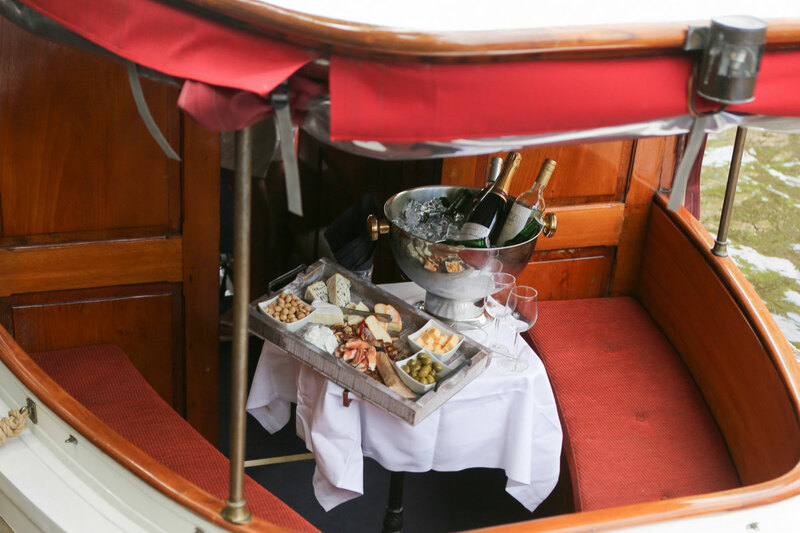 We often hear that this has been an unforgettable experience for the guests.